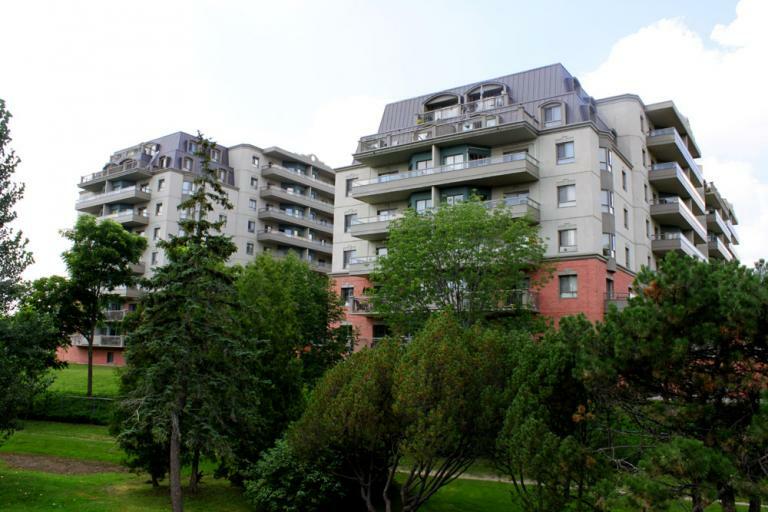 A green paradise in the city! 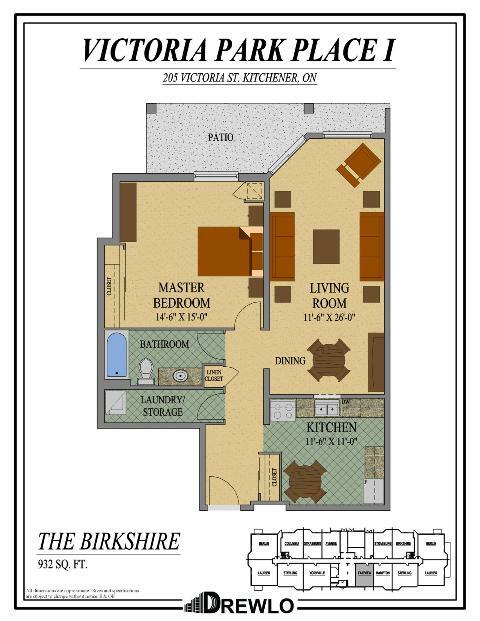 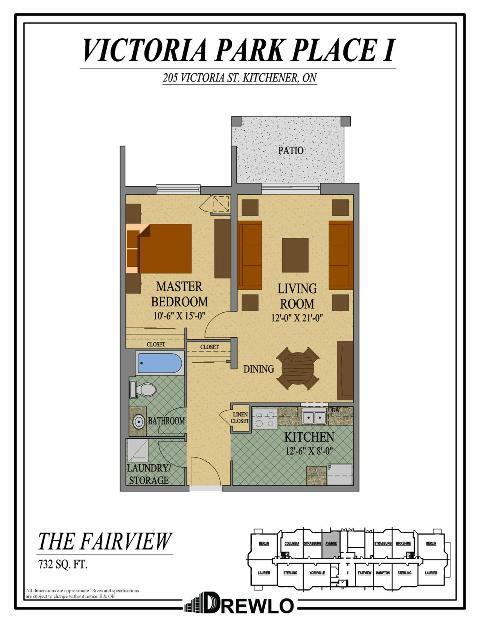 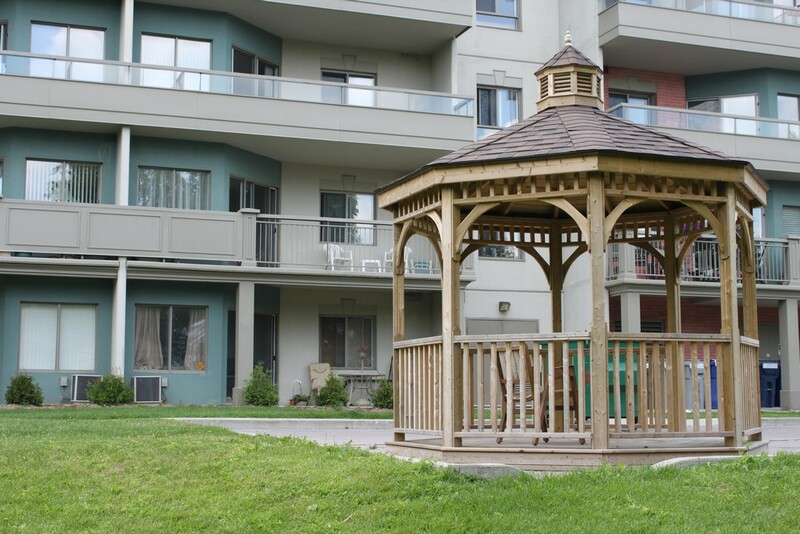 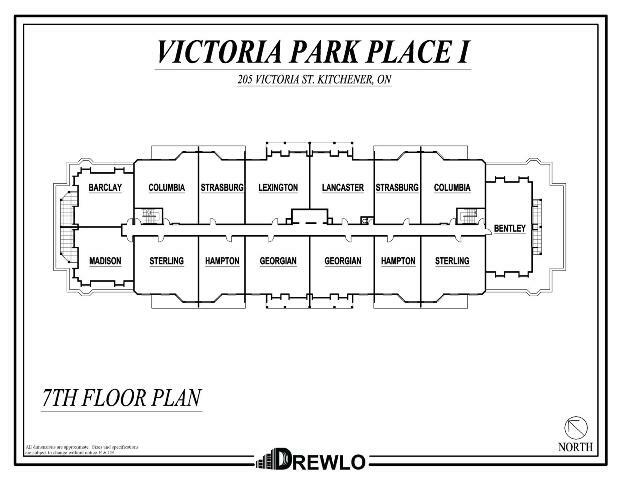 Victoria Park Place I is the perfect place to call home for those looking to live close to downtown Kitchener, Ontario. 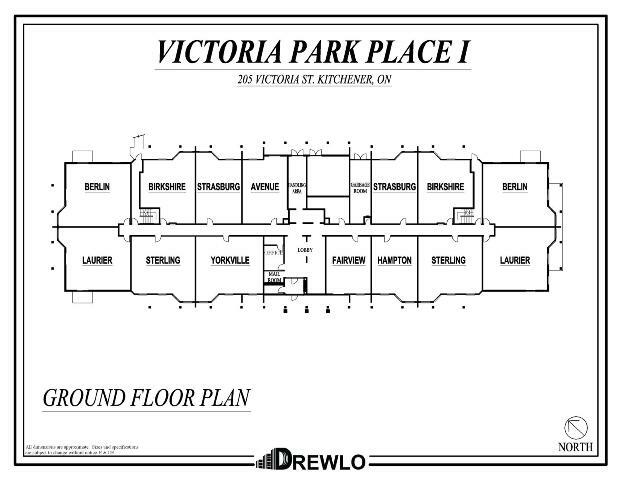 This Kitchener Apartment is ideally located right beside Victoria Park, this Drewlo Holdings tower enjoys unparalleled views of the city. 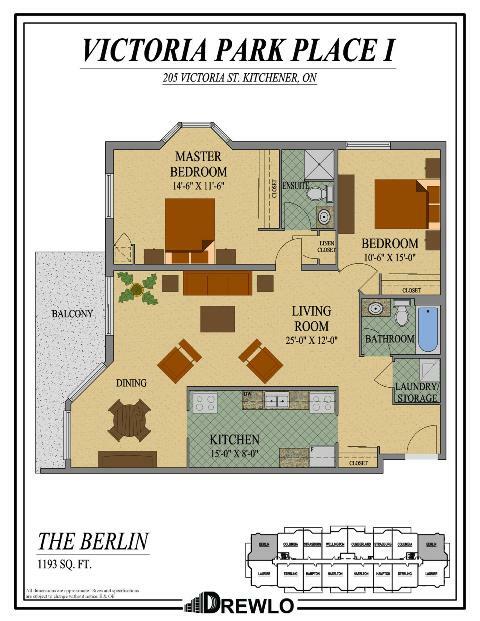 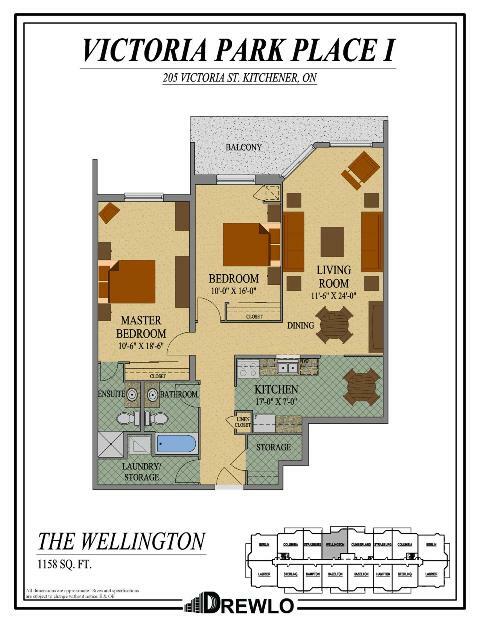 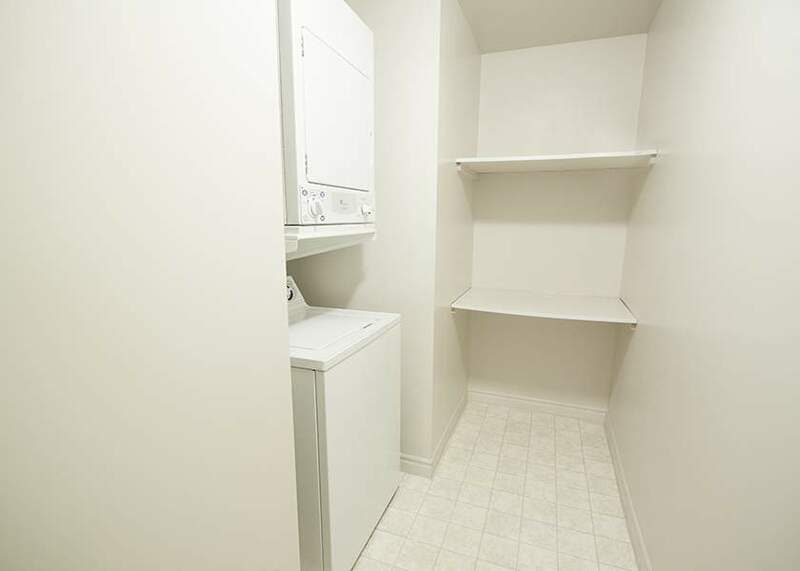 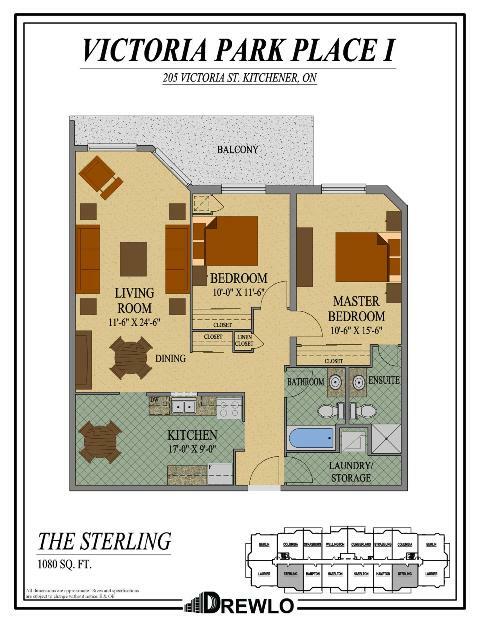 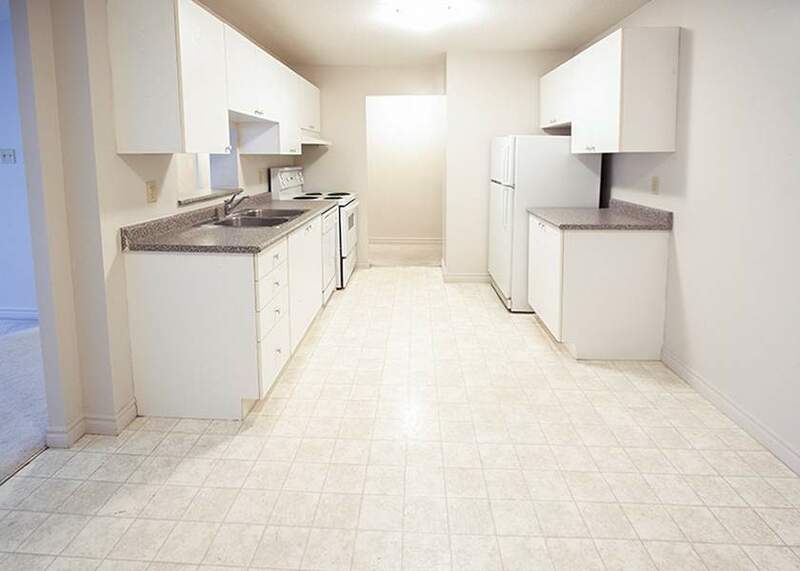 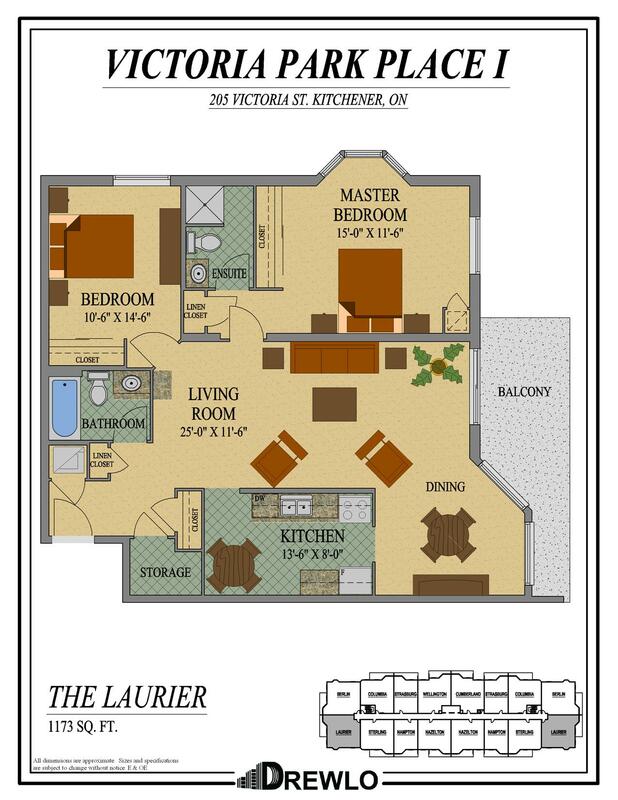 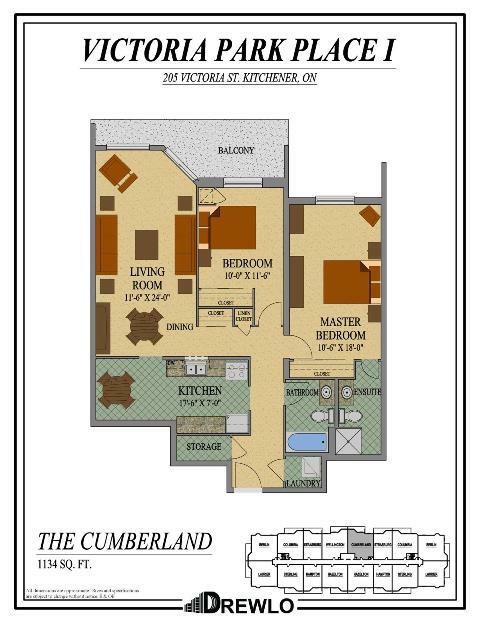 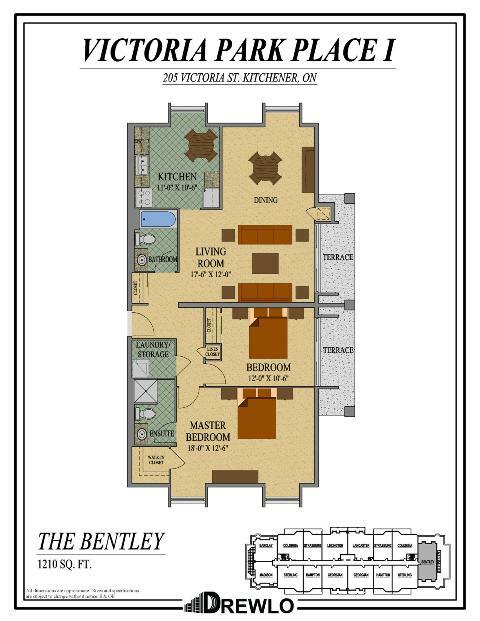 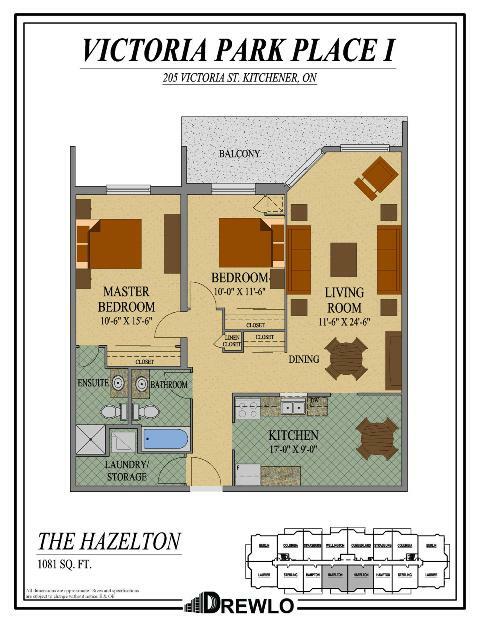 Inside this Kitchener Apartment you'll find must-haves like eat-in kitchens, in-suite laundry, air conditioning, and individual thermostats. 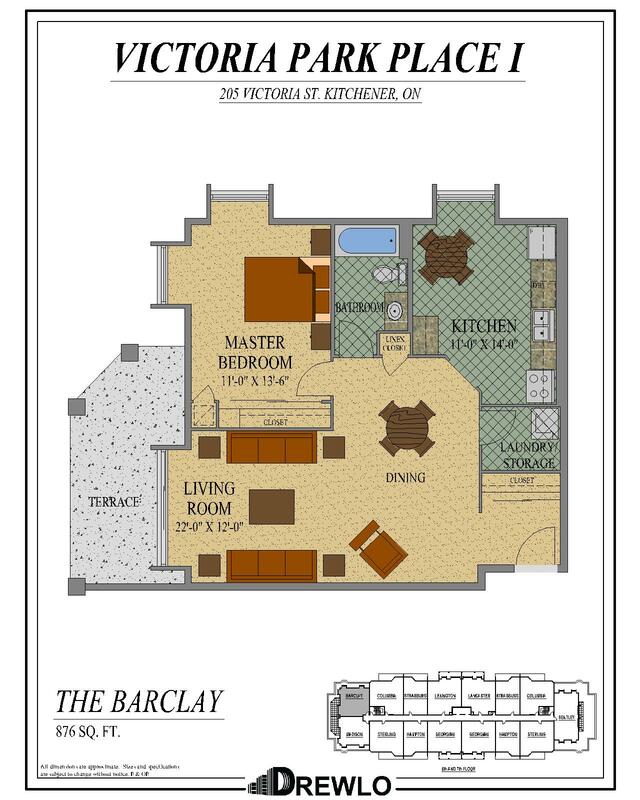 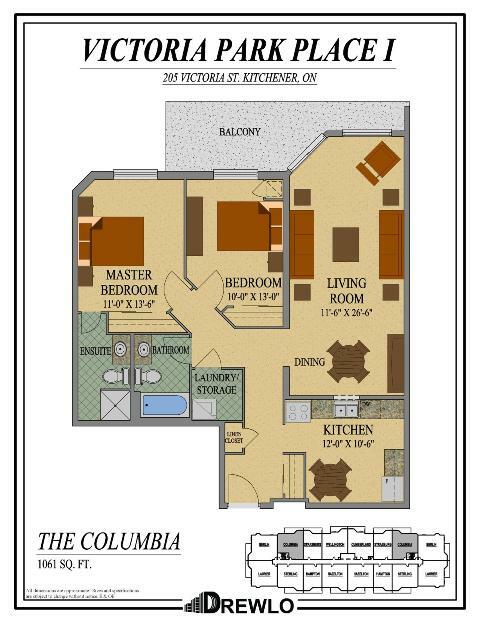 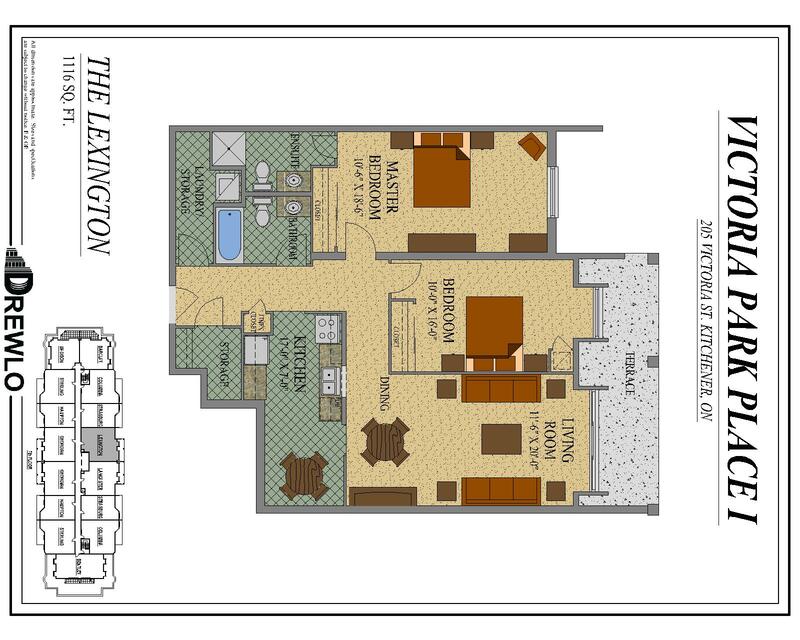 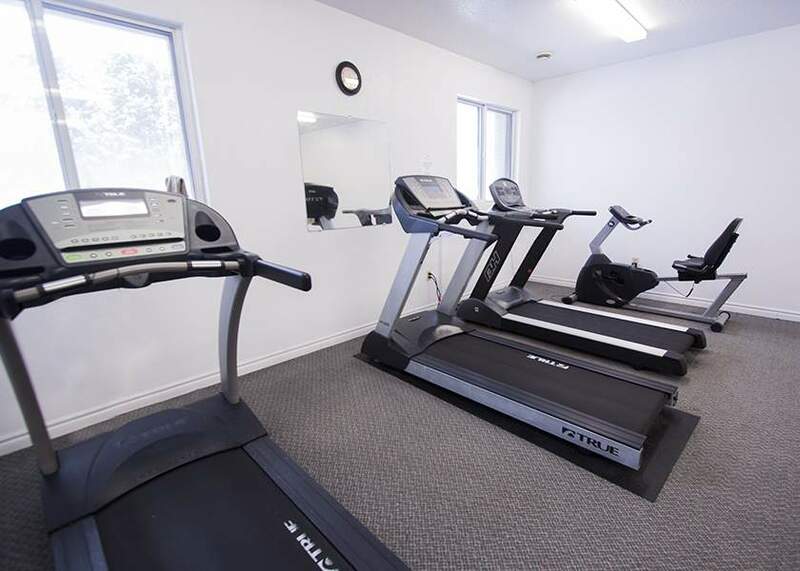 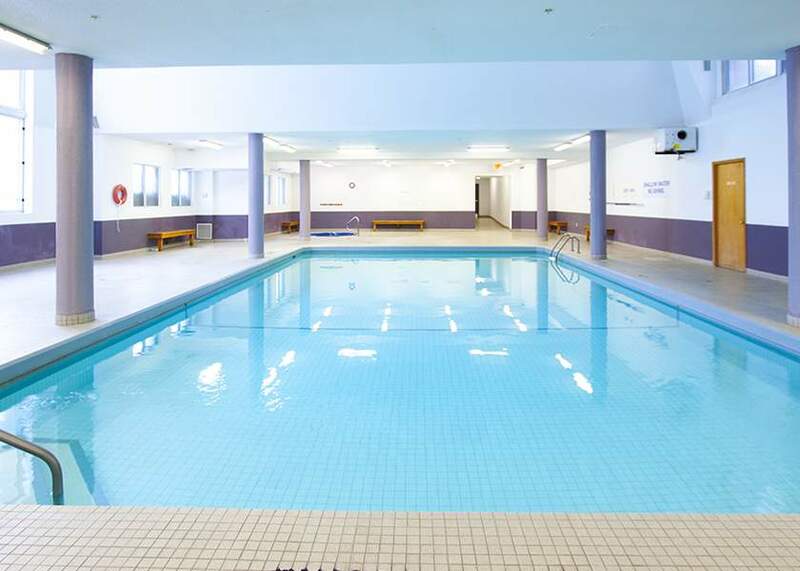 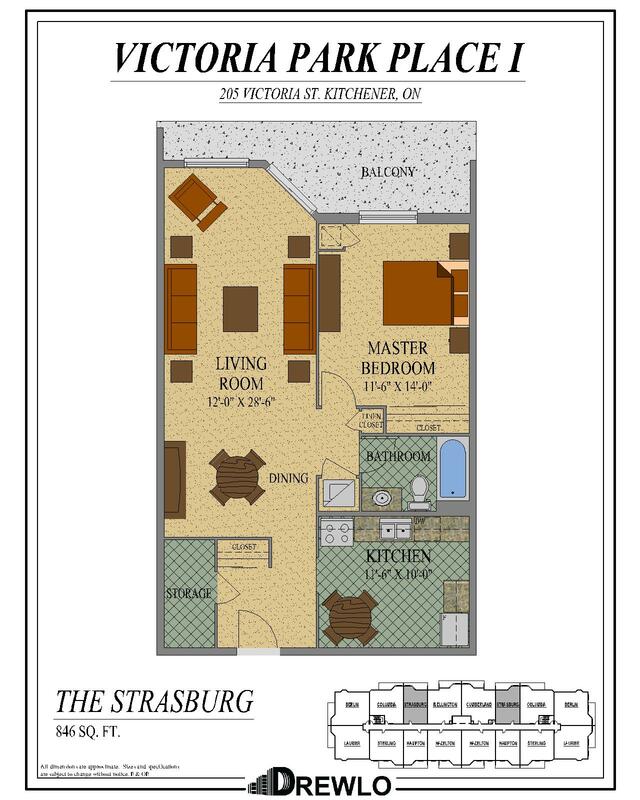 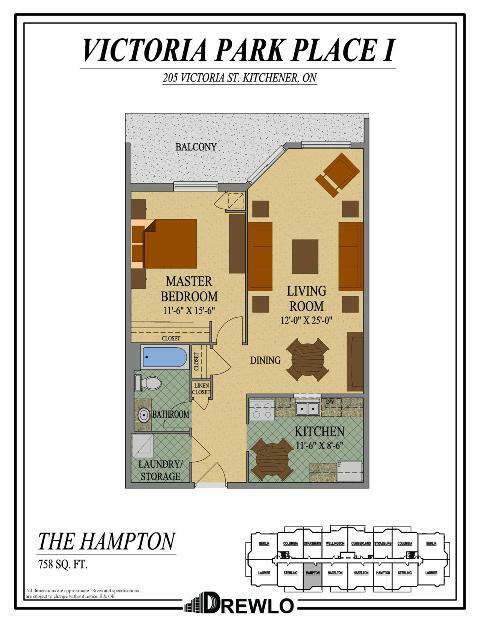 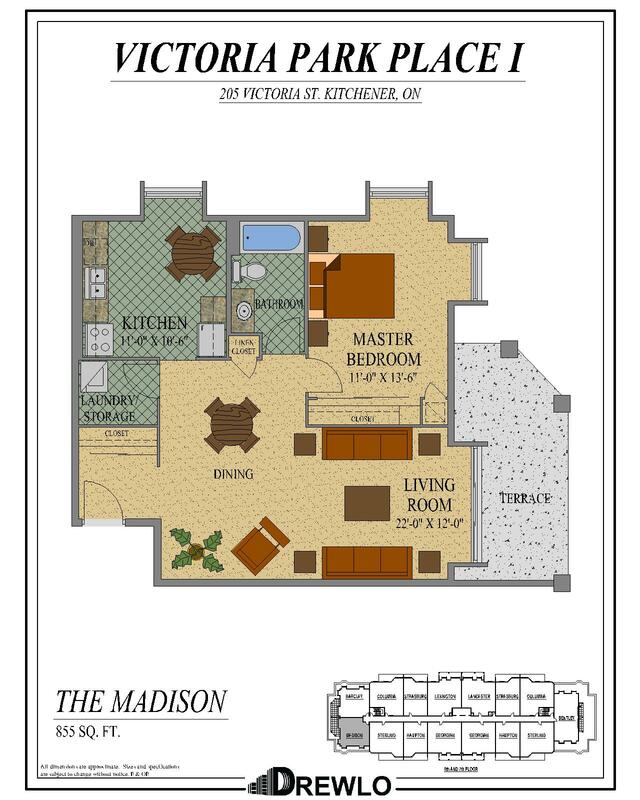 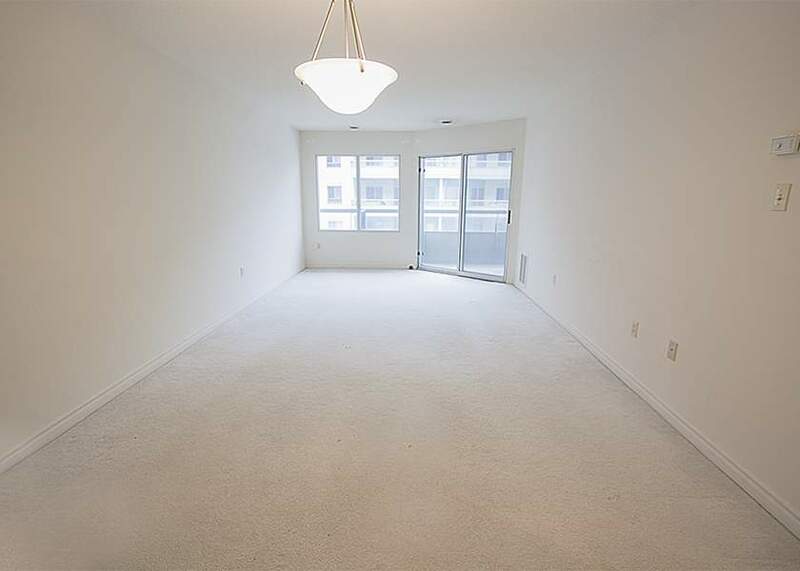 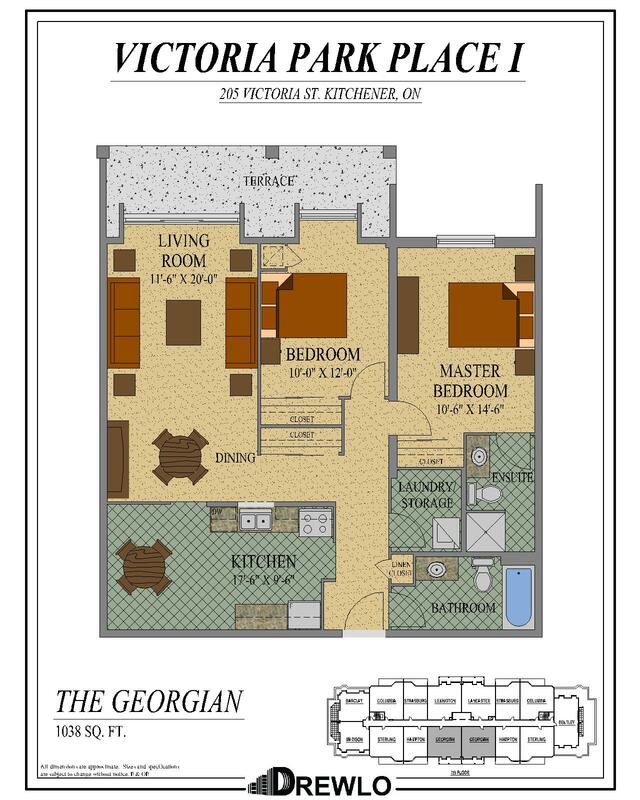 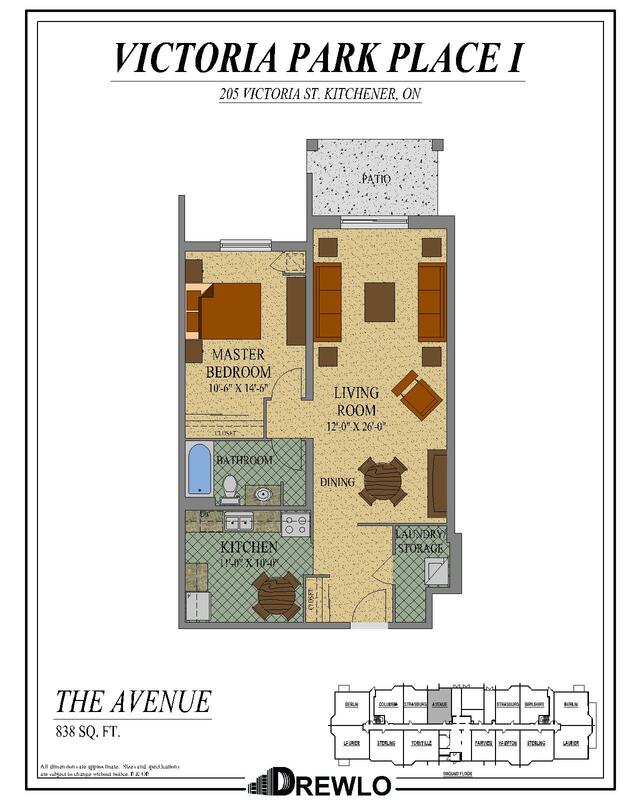 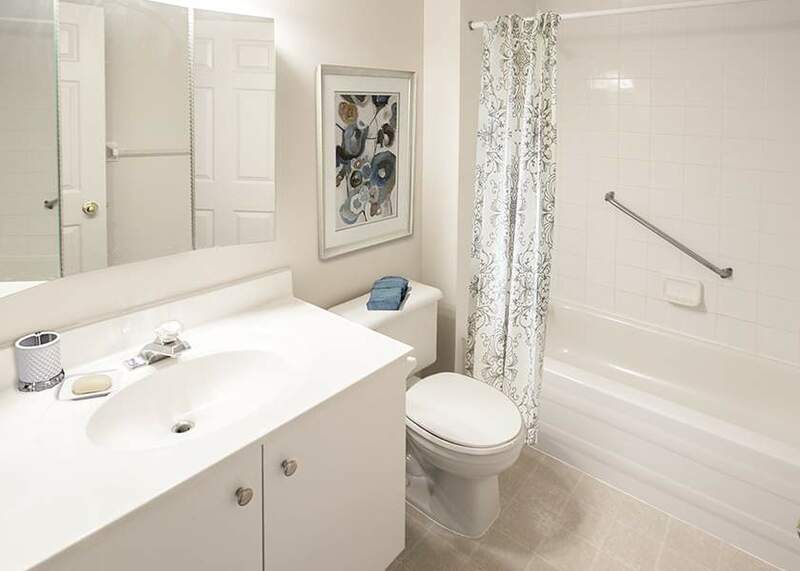 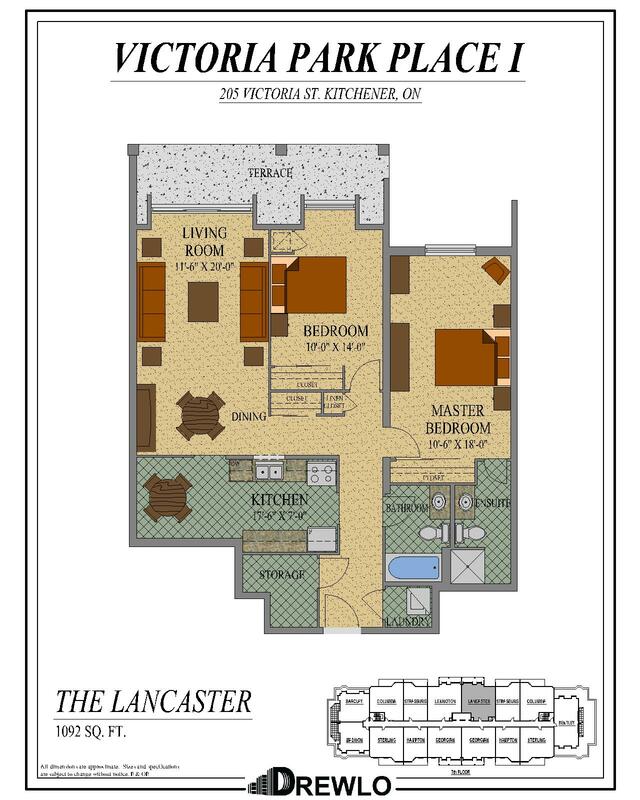 Residents also get to enjoy the convenience of an indoor saltwater pool, hot tub, sauna, fitness room and social room. 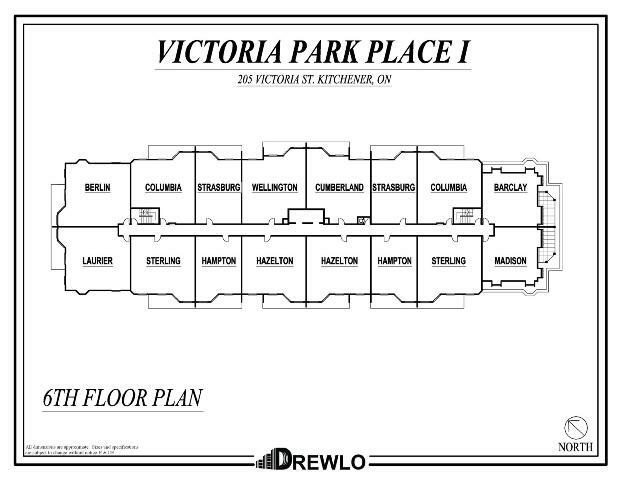 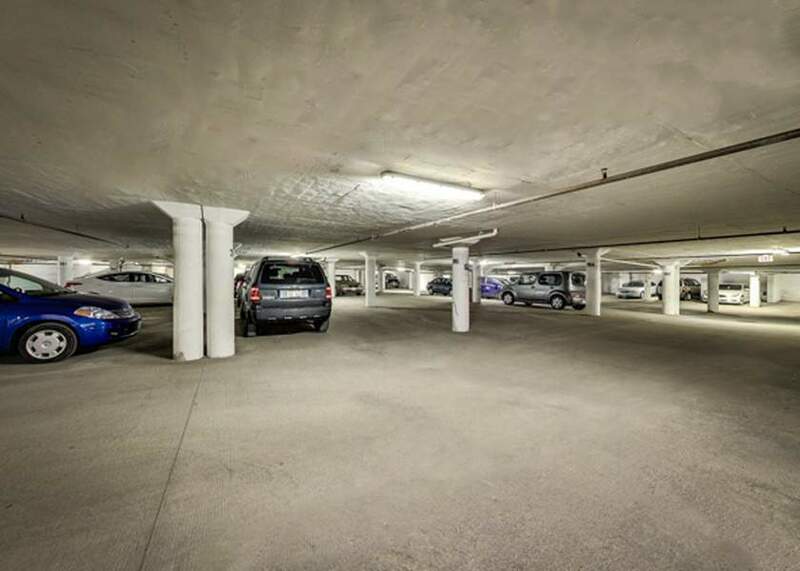 Storage lockers and underground parking, make Victoria Park Place I a highly sought-after tower.